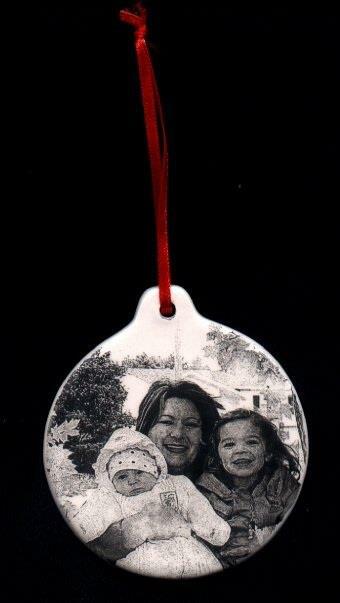 A beautiful round ceramic tree ornament lasered engraved with your favourite photo and or text. Price is for one sided engraving. 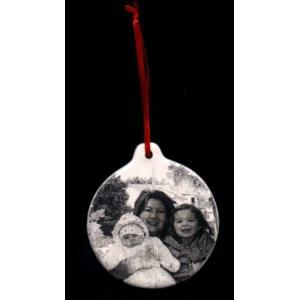 Add $ 5.00 for reverse sided engraving.